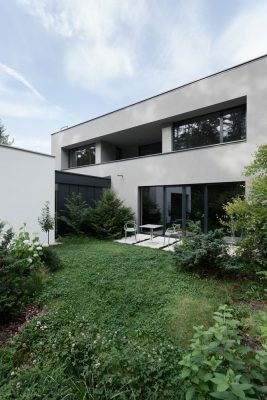 The house is situated on level ground and consists of three main axially symmetrical rectangular blocks. 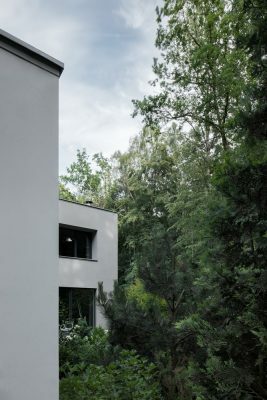 By its situation and shape, the house deliberately splits the garden into several parts: front garden open to public view, back private garden and small atria – each such garden space can be designed in a different style. 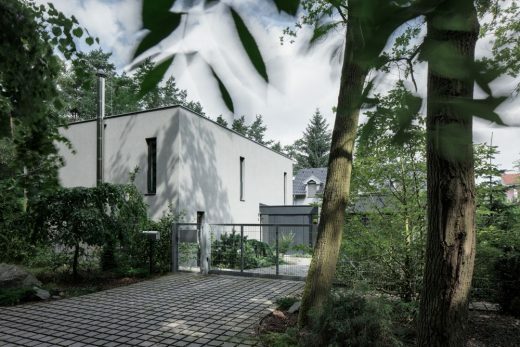 Despite the corner plot, the spatial layout affords the family a good level of privacy. 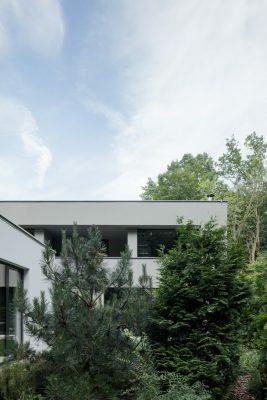 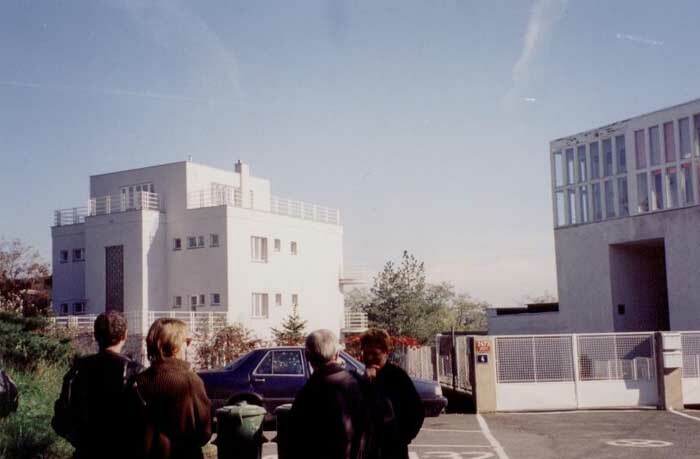 The central block of two floors houses the main garden-facing living space and corridors connect it with the ground-floor wings – one housing the leisure and spa facilities and one for the twin garage. 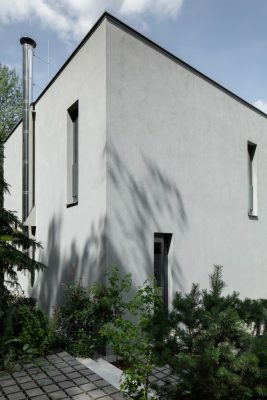 The house façade is plastered, simple and the blocks are finished in white, grey and black colour gradation. 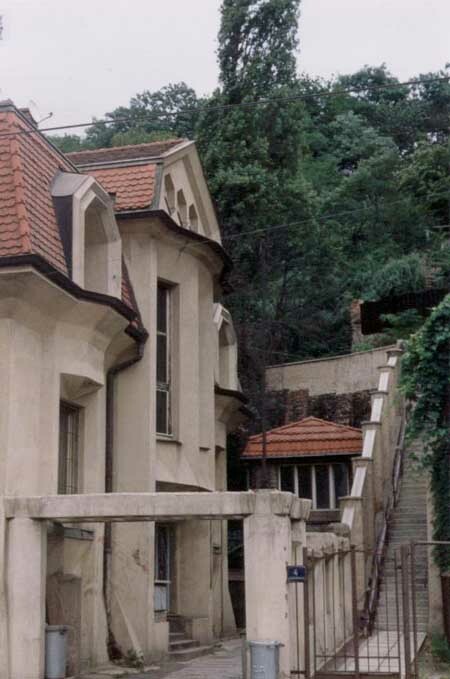 The roofs are covered with vegetation, which further integrates the structure into its surroundings. 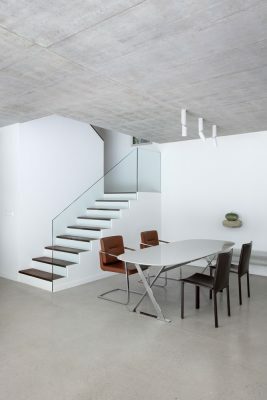 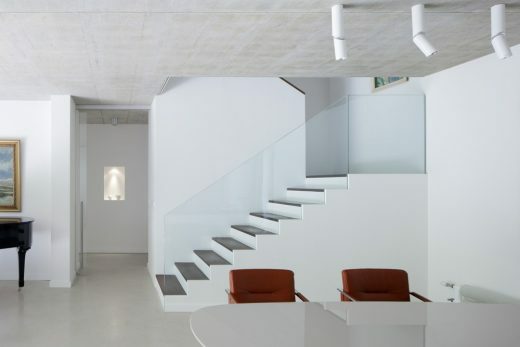 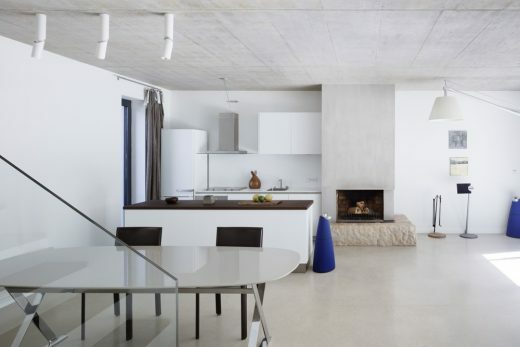 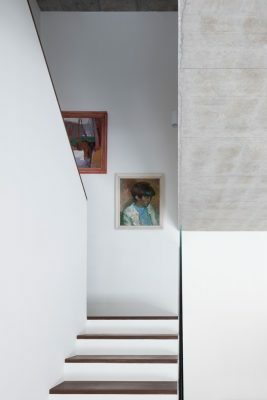 The interiors are minimalist; floors and ceilings are made of architectural concrete. 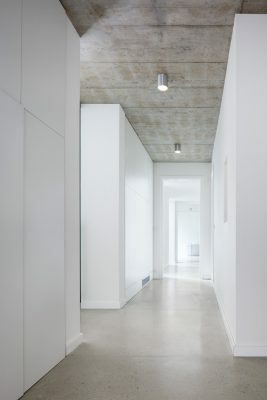 The walls are plastered white. 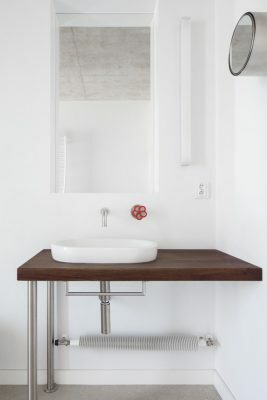 There is a minimum of furniture with interesting accents such as open fire or a stone inserted as a shelf for a Japanese vase. 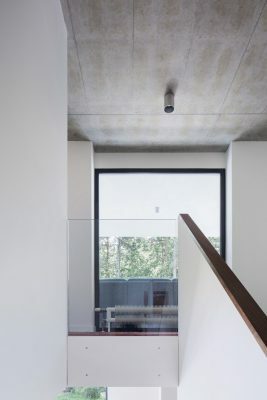 The whole house is to reflect the investor’s unpretentious yet highly sophisticated style and a sense of balance, serenity and harmony.